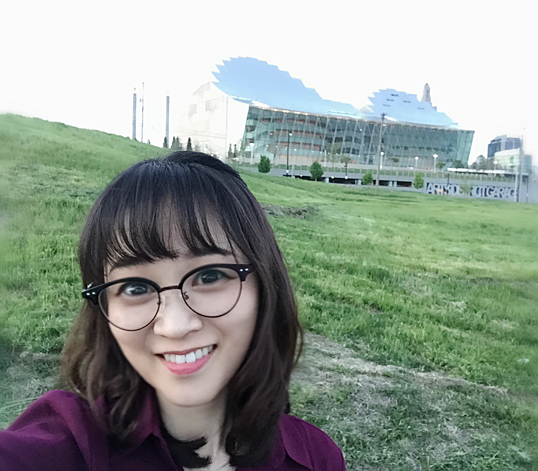 featured guest artist on KKFI Kansas City Community Radio 90.1 FM: "The Classical Challenge"
"Nahyun Kim's compositions are simultaneously wild, emotional and restorative, with elements inspired by her research on psychological disorders and music therapy... We are excited to share an interview with this multifaceted artist." world premier by pianist Jenny Lin at the 2015 Valencia Internation﻿al Performance Academy and Festival in Spain. US premier by PUBLIQuartet at the ﻿﻿2014 PUBLIQ Access Showcase Concert﻿ ﻿in New York City. Click here to learn more about the piece. 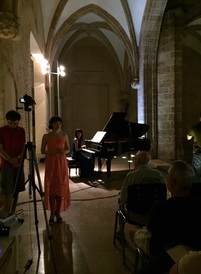 performed by The Sylvanus Ensemble at the 2014 Women Composers Festival of Hartford in Connecticut. 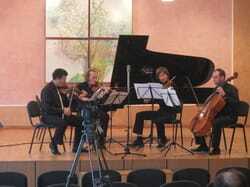 Performed by Ricochet string quartet at the 2013 Kiev New Music Festival in Ukraine.